Home	→ Blog → LACE FRONTAL WIGS → What is a lace frontal wig? What is a lace frontal wig? 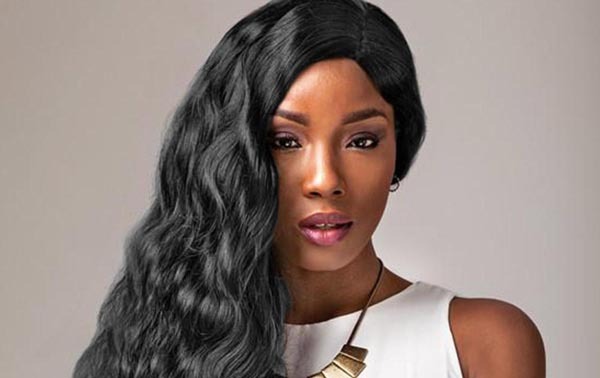 Lace frontal wig has been around for over a decade but was mainly being used by the Hollywood movie industry to most naturally transform actors into character. When actors realized how easy it is to transform with a lace front wig… they started wearing them off the set too!In the recent years, Wigs are really popular, due to it’s easy to use and a lot of benefits. So “What is a lace frontal wig ?”, this blog post help to answer your questions. There is vast variety and wide ranges of human hair wigs are available in the market. People who decide to buy wigs sometimes confused about several types of wigs such as a full lace wig and a lace frontal wig. The difference between both full lace wig and a lace frontal wig is not clear to them. 1.1 What is a lace frontal wig? 1.2 What does a lace front wig look like? 1.4 What is the purpose of a lace front wig? 1.5 What is the best lace front wig? 1.6 What is the best lace front wig glue? 1.7 What is the best lace frontal wig brand? 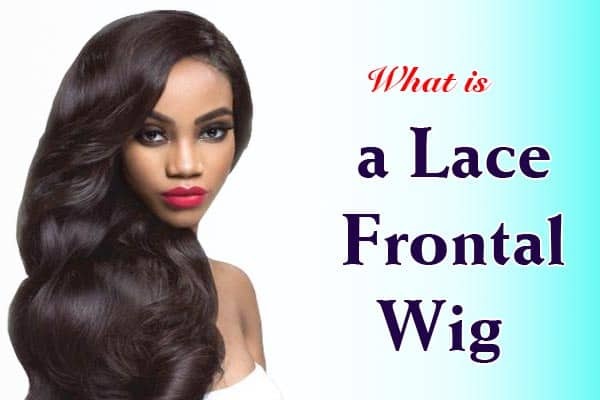 Now, Layla hair will give you some information about What is a lace frontal wig? Or What does a lace front wig look like? What is the purpose of a lace front wig? What is the best lace front wig glue? and so on. We will talk about this topic in this article. Hope you read until the end to find out the definition of a lace frontal wig. 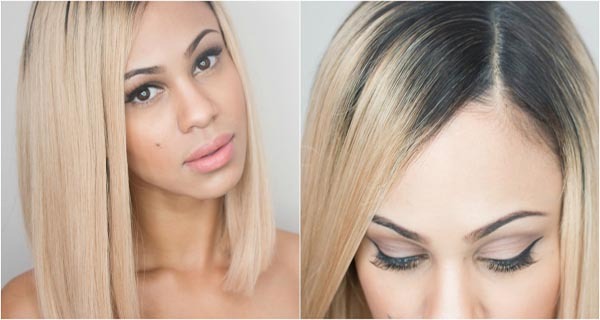 A Lace Frontal Wig is your secret weapon to a flawless undetectable wig and to gorgeous hair. A Lace Front Wig is little different from other wigs. The lace front wig is attached to the front edges of your head, along with your hairline where there is often a lace panel. The lace is often 2-3 inches wide at the front. We use a kind of material which is stronger and thicker to make the rest of the wig. And you can see, the hair strands are attached in wefts to this material. The rest of the base is thicker but still comfortable. Lace front wigs square measure sometimes glued at the front and have straps that may be tightened at the rear and combs at the sides to mend them securely to the pinnacle. Moreover, front lace wigs provide the feeling of a natural looking hairline because the lace is almost invisible. What does a lace front wig look like? First of all, when you see a lace front wig, you will see a wig attached to the front edges of the head, along with hairline where there is often a lace panel. In addition, the rest of the wig is made with a stronger and thicker material and the hair strands are attached in wefts to this material. A lace front wig is the best because it has an invisible hairline. When worn properly the end result is an undetectable hairline giving the illusion that the wig hair is actually growing out of your own head. No one will know that you are wearing a wig unless you tell them! And even when you tell them… they can’t believe it until you let them touch it! Lace front wigs are usually more lightweight and much more comfortable than an ordinary wig. Lace Frontal Wig will bring for you have more versatility to style it different ways which also adds to the believability and natural look! You should know that a lace front wig is similar to a Full lace wig. Except it doesn’t have the same versatility as the full lace wig. And, the lace front wig has a sheer lace in the front of the unit that is typically cut off just before the wig is installed. 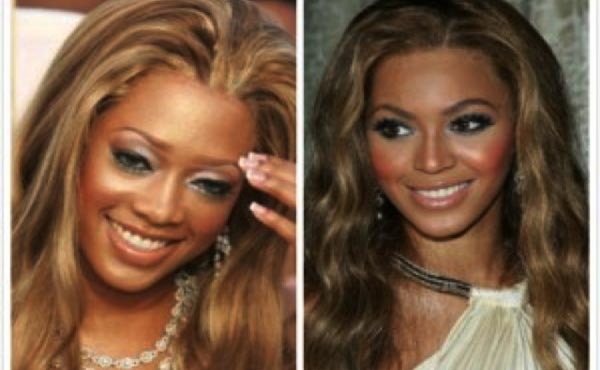 The base of the lace front wig is not made of lace, as is the case with a full lace wig. But instead, it is made of a thicker material. One of the common applications for this wig type is with glue or tape which can be damaging if not installed properly or with the right frequency. This wig type will not allow you to part it down the center of the unit or pull it all up into a bun, the way you could with a full lace wig. Especially, the lace front wig with cheaper price with a full lace wig that is the best for you. What is the purpose of a lace front wig? A lace front wig is a great solution for people who suffer from premature balding, alopecia, hair thinning or hair loss due to chemotherapy or other medical reasons. However, wigs are not just for hair loss anymore! It is a growing trend to wear wigs simply to change up your look. Whatever your desire is for wanting a wig, if you want a natural look that gives you unlimited styling options….a lace wig is your answer! A lace front wig is quicker and easier to apply on your head. Installing a full lace wig is going to take time, especially if you are wearing a wig cap underneath. This is one of the reasons why many people turn to lace front wigs instead as it’s easier to get a more natural looking hairline and doesn’t take up too much time to apply. What is the best lace front wig? The best lace front wig provides the illusion of a natural hairline and looks like so silky and shiny. It must be made from 100% Remy or Virgin Human Hair. For those who have not heard about the term of “REMY”, here is a rough definition for you: “ Remy hair extensions are the most popular human hair extension on the market due to the quality and price. Remy hair is a high-quality hair that lasts up to a year and blends very well with your own hair. What is Remy hair means is that all the cuticles are intact, running in the same direction? When all hair strands follow the same direction there will be almost no tangling and matting? With true high-quality Remy hair, the hair collected is healthy, the cuticles intact and all cuticles flow in the same direction from root to the tip ”. Next is the definition of Virgin Hair: “ Virgin hair is a chemically unprocessed human hair from a single donor. It is free from dyes, perms, bleaches and hand washes. Our virgin hair is Remy hair. This means the hair is gathered from the head of donors using a method designed to keep the hairs cuticles in proper alignment ”. The hair can be parted in the middle or on the sides. Lace front wigs look really natural towards the front because the lace is almost invisible. What is the best lace front wig glue? If we talk about What is the best lace front wig? We should think about the good glue. It is really indispensable if you want a lace front wig to become more and more natural. Now, Layla hair will gift you top 5 best glue for lace front wig. 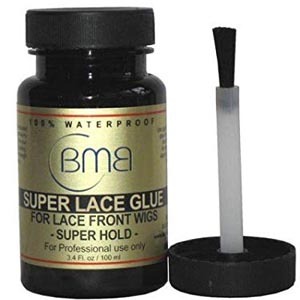 On the top is Super Lace Wig Glue Strong Hold – Acrylic Adhesive. That recommended by many hair stylists. 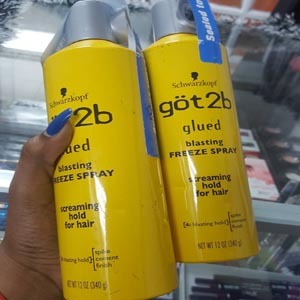 Second is Lace Front Wig Glue | Waterproof Adhesive – Holds Thru Sweat, Water, and Oily Scalp, It made in the USA. Third, Got2b Glued Blasting Freeze Spray, 12 Ounce. It very useful helps hold for hair. Last but not least, Got2b Ultra Glued Invincible Styling Hair Gel, 6 Ounces (Pack of 2) Got2b. Perfect for vertical hairstyles, this gel delivers ultimate control with a glue-like hold to keep your hair in place. You’ll also need to note that lace front wig application requires more tools than just the glue or tape adhesive itself. You will find adhesive kits that have a number of products meant to maximize your application. These kits typically include adhesive, a scalp protector, a fray block or knot sealer and products designed to aid in removal, as well as conditioners. What is the best lace frontal wig brand? Are you seeking for best lace front wig brand? 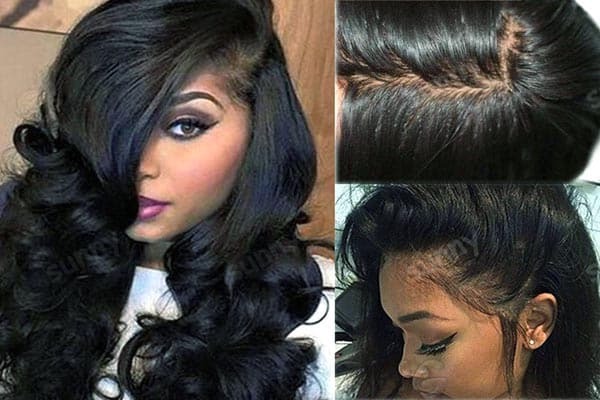 You want to have perfect lace front wig to add more thickness to your fine and thin hair? Or You are at the right place, girls! Layla Hair raw virgin hair vendors specialize in manufacturing and exporting lace front wig. To satisfy our customers and best hair salon in Vietnam who love Remy hair, Layla Hair co does not use any harsh chemical to change Remy hair structure and hairstyle. Our best lace front wig was washed, conditioned carefully by our high standards, sometimes it was moisturized to keep the best quality. Layla Hair is wholesale lace wig vendors utilize steam rollers instead of hot iron rollers. Hence, full cuticles and protein of real hair extensions, equally on the top and the same direction to minimize hair tangled and shedding. Now, Layla Hair company hair has various style of lace front wig such as lace front wig with baby hair, straight lace front wig, deep curly lace front wig…We also available a lot of beautiful colors like natural black, ombre, piano, blonde, red and so on. Going to Laylahair.com to have your best lace front wigs. After reading all of the above information, Layla believes that you have knowledge about what is a lace frontal wig?. We will take extra steps to provide you with the most accurate and detailed descriptions. Custom orders are made just for you according to your specifications selected. We recommend that you take your measurements carefully to ensure that your custom order fits correctly. After reading all of the above information, Layla believes that you have knowledge about what is a lace frontal wig?. Follow our blog to have a large of useful information. Have a nice day !!!. See you soon.